Inland Marine Insurance may be one of the most misunderstood forms of commercial property insurance. It’s also one of the most comprehensive forms of coverage. While originally created to cover the transportation of goods over water, Inland Marine Insurance has expanded to cover a wide variety of goods in transit on land as well; and has expanded to protect moving or movable property. Essentially, Inland Marine Policies are property policies designed to protect cargo or any other property in transit, storage or holding. Cargo Insurance is a particular type of Inland Marine Insurance. Inland Marine Insurance can also cover equipment breakdown, such as expensive Medical Imaging Devices, Printing Presses, and a wide assortment of other assets, which may or may not be “transportable”. It is a very versatile form of Property Coverage which can be adapted to include breakdowns and repairs, expedited repairs, loss of income due to breakdown, and can be written on an all risk form, which will cover the property being insured for all traditional forms of loss too, including fire etc. Inland Marine insurance can also be used to fill gaps in coverage when goods leave the premises of a covered facility. It is used to cover a broad range of goods and equipment. Types of property that are generally insured under inland marine insurance is usually either actually in transit, held by a bailee (also known as Care, Custody & Control Coverage), at a fixed location that is an instrument of transportation (ie. truck, boat etc.) or any movable product that is often at different locations (including many types of equipment and tools). The key to deciding if Inland Marine Insurance is required with the above example, is whether the insured has Care, Custody, & Control of someone else’s property. The traditional Commercial Property Policy will generally not cover property owned of others, so an Inland Marine policy is required to provide coverage for that property. It is considered by many to be a general purpose broad form property insurance policy, providing insurance for equipment and other assets which would be far more costly if placed on other policy coverage. Let the experts at Commercial Global Insurance help you with your Inland Marine Insurance. 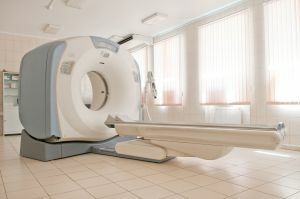 Mechanical breakdown coverage for Medical Imaging and other high valued equipment.